My short-term memory is worsening by the day. My long-term memory isn’t much better. I find myself having vague recollections of events and conversations rather than my usual chapter and verse. I’m getting older. That’s a given. And with each advancing year, something else gives. they flash upon my inward eye, which is the bliss of solitude. 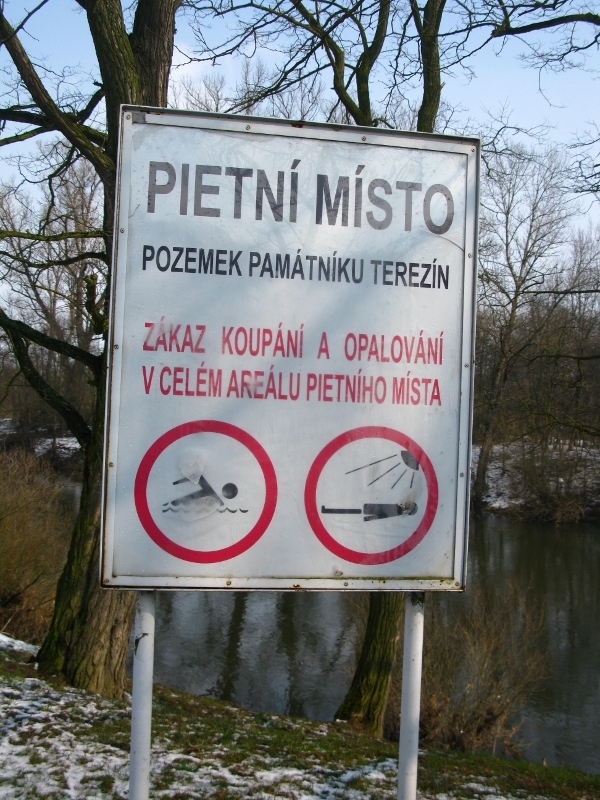 Down by the Ohre river, there’s a pietní místo – a pious place – with signs showing what not to do. No swimming. No sunbathing. The why of it all became clearer as we approached the monument. 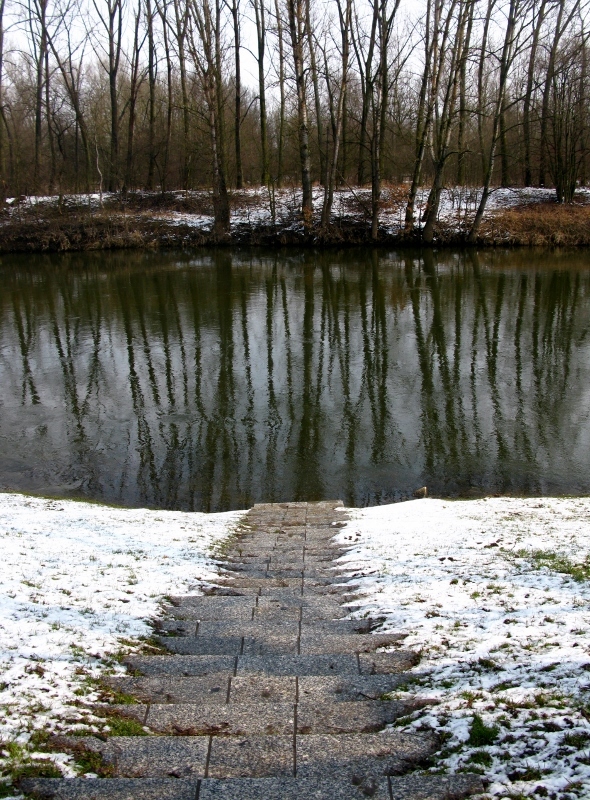 It was here, in November 1944, that the Nazis ordered the ashes of 22 000 Jews – all victims from the Terezín ghetto – to be dumped in the water. Hard to imagine. Hard to get my head around those sorts of numbers, that sort of volume. It was made even more surreal because in my bag, I had a small urn with just 5% of Lori’s ashes which I would scatter later from the Charles Bridge in Prague. Now, math has never been my strongest suit, but even so, I still couldn’t get a grip on the magnitude of what had happened here. The death rate in the ghetto was high. 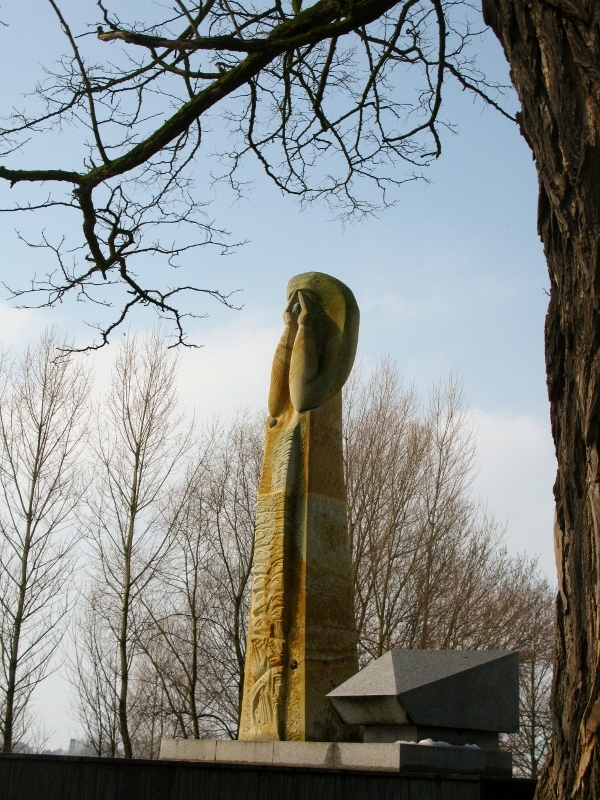 Records show that 22% of internees died there – about 30 000. 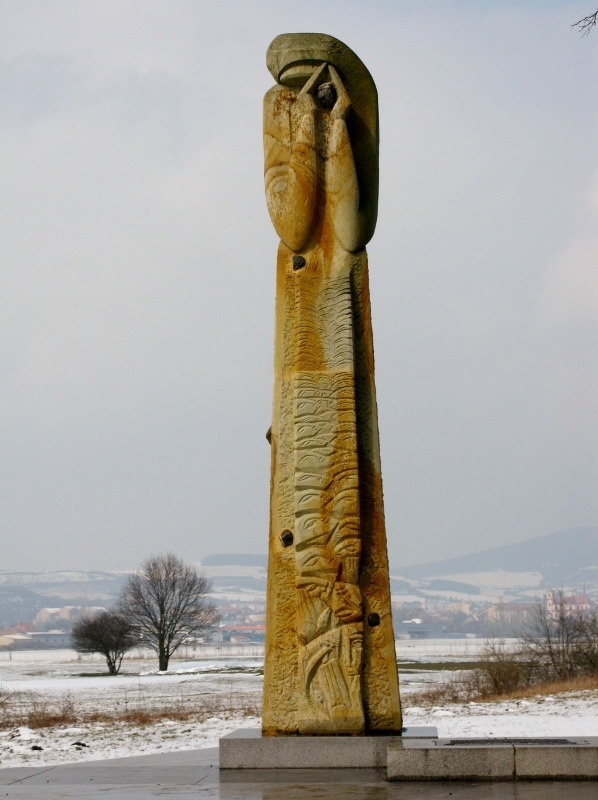 At first they were buried locally – the first 1250 in individual graves, and then 217 in mass graves. But towards the end of 1942, the cremations started. The ashes of some 8000 or so are still in urns at the local crematorium. The remains of the other 22 000 have settled in the silt or floated away. I can’t begin to imagine what it must have been like in 1944, in November. I can’t imagine the logistics, the affect on the water, the sheer volume of ash that had to be disposed of. And while I was struggling to come to terms with all of this, I kept going back to the sign that said no swimming, no sunbathing. And I wondered why anyone would have to be told not to. It defies reason. The lines from Wordsworth came flooding back – in vacant or in pensive mood – because everything about this place leaned towards pensive. It was eerily silent. No noise. No birds. Even the water was quiet. Despite the intervening 70 years or so, there is still a heavy presence that challenges thought and defies speech. And when we did speak, we spoke in whispers, so as not to disturb the spirit of the place. Although it was the 29th of March, snow still covered the ground and the signs of spring had yet to appear. I wondered what it might be like in summer. Would people picnic here? Would mothers sit by the river bank as they watched they kids playing? Would courting couples come to get away from it all? Or is it indeed a pious place where people would show the dutiful respect required by definition, where they would come to sit in silence and contemplate man’s inhumanity to man and how it makes countless thousands mourn? I wondered, too, which would be best – should we celebrate the lives of those who have gone before us with gaiety and laughter, showing them that they did not die in vain, or should we be sombre and silent? Can we be happy and still remember, or do those memories weigh us down and make us sad. What does a dutiful respect require? And what would they have wanted? …from thee [death] much more must flow. Attended a Memorial on Sunday afternoon. The valley is full of survivors and ….oh, the stories, which brings my memory ( challenged that it is) back to my youth and Daddy’s family and their opinions, sitting around the dining room table. A topic for you and I to explore on our next ‘connection’.